I’ve decided to branch out a little bit and read some non-dystopian fiction, so I was happy to find a psychological thriller with a cool premise. When Emma’s husband receives a new job opportunity, her family decides to finally sell their home, the one Emma grew up in and inherited from her father, and move to the city. However, there’s a literal body buried in the backyard—the teacher who pursued her when she was in high school. Attempting to dig up the physical remains of the man she murdered also dredges up feelings from the past. The book bounces between the present and when Emma was in high school and is told from a few character’s perspectives. Even though the reader knows what will happen to ‘high school Emma,’ reading those chapters is still tense. Emma’s mental illness is handled incredibly well. She struggles with an eating disorder and all the self-loathing that entails. As her anxiety gets higher and higher, even she has a hard time relying on her senses and recollection of events. And who would believe her wild tales when she claims she’s being tormented by a man who should be dead? Although I loved looking into the heads of Emma and her husband, I just didn’t find Luke—the schoolteacher—believable. I know there are people out there with sick motives who prey on women, but what kind of young schoolteacher goes into class looking for a teen girl to seduce and terrorize? He is tacitly called a psychopath, and that is all the motivation his character really gets. I thoroughly enjoyed the ride through Emma’s troubled past and unraveling the details of the present. She’s not the only character keeping secrets, and it was fun to slowly peel back the layers on a whole host of mysteries. 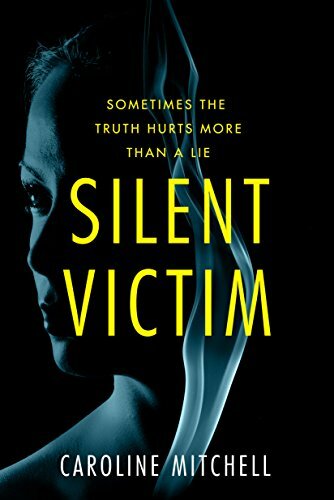 If you enjoy psychological books or women’s fiction unafraid of touching dark themes, then you’ll absolutely love Silent Victim.